I will confess that I've only known of Robert Nolan's work through the horror community here in Toronto. So the idea of watching Nolan as an action actor is supposed to feel alien to me, no? Then I watched the trailer for Neil Mackay's 60 Minutes to Midnight and am duly impressed with Nolan in it. Now that the movie has been picked up for sales by High Octane Pictures, Screen Anarchy has your first look at the new poster and a hefty gallery to make your way through. We have also included the trailer. Find it with the first image in the gallery. Though the poster is pretty generic I think I understand why Nolan is not featured in it. As I said above, I have only known Nolan through the horror circles and he does not fit the bill of what the average movie goer presumes is an action star. So I get it. I do not have to like it - I like seeing actors outside of their presumed mold - but I get it. But check out Nolan being a badass in the trailer and gallery below. 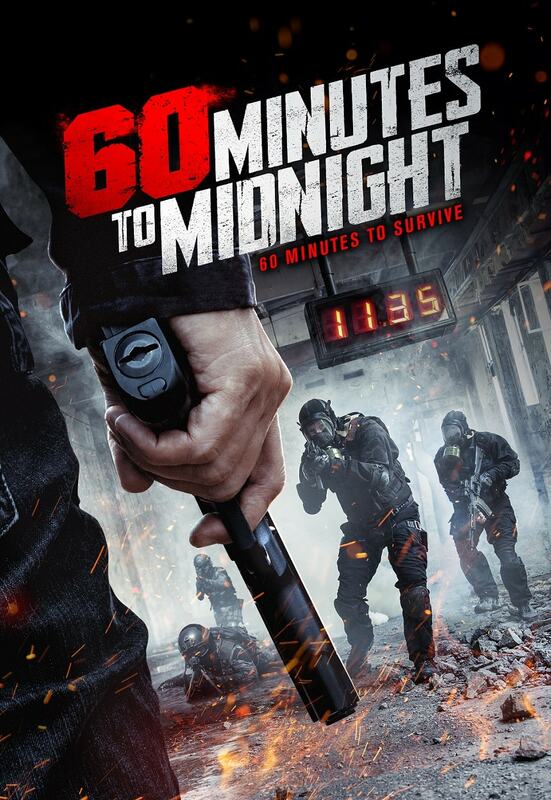 Galen Christy’s High Octane Pictures has added Sixty Minutes to Midnight to its diversified 2018 slate. The company will handle worldwide sales for the thriller, the latest for esteemed Canadian actor Robert Nolan. The film tells of a construction worker that finds himself starring on a deadly game show. Sixty Minutes to Midnight, hailing from Slate 10 Pictures’ Frank Ieraci and Tom Stefanac, writer Terry McDonald and director Neil Mackay, is in the vein of The Running Man and Straw Dogs and tells of a TV Game Show that kills its contestants. High Octane Pictures will represent the title at all upcoming markets.